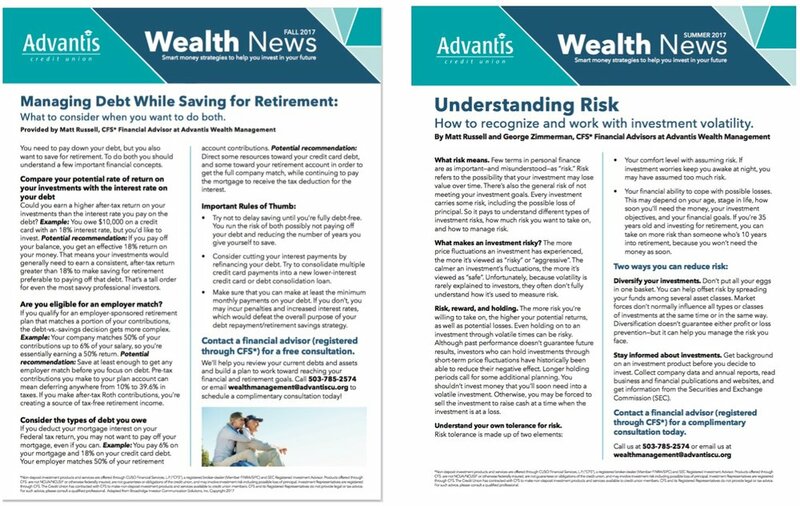 Challenge: Maintain an informative outreach channel that keeps Advantis Wealth Management team in touch with its clients. Solution: Write a quarterly direct mail newsletter that integrates a contact call-to-action into main article. Challenge: Maintain an outreach channel for Advantis Credit Union to its members that's both informative and promotional. 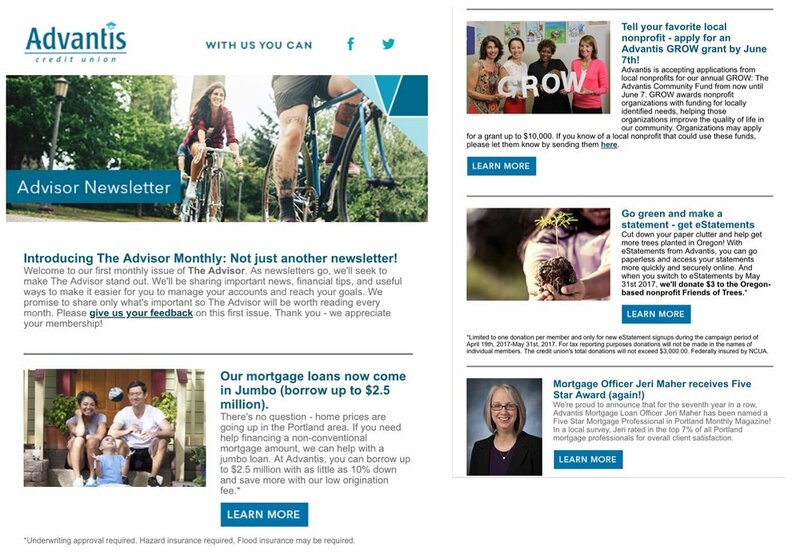 Solution: Write and publish Advisor newsletter in both a more informative monthly digital and a more promotional quarterly direct-mail version.